With a robust strength of 400 Exhibitors and 15,000 Decision Makers, IHE 19 is all set to attain record heights of success. 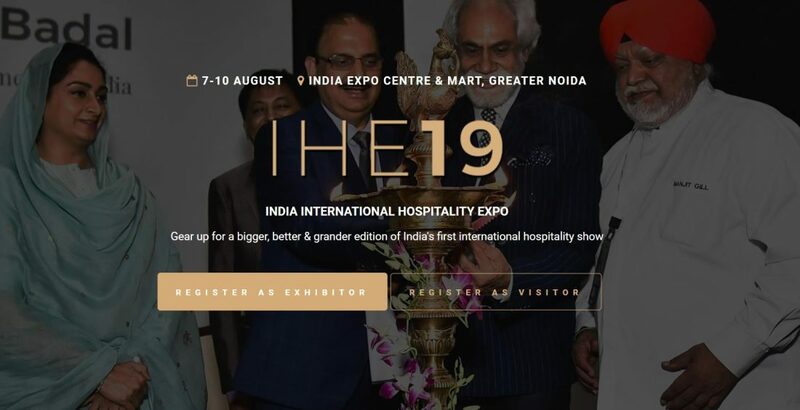 After a mega-successful first chapter of India International Hospitality Expo that left the biggest names from the hospitality industry enthralled, IHE 19 is now ready for its second installment. Promising to be bigger, better and grander, this show shall continue to make hospitality industry a catalyst for economic growth and work towards its lofty vision – to become the Biggest Hospitality Show in Asia. With support from top industry bodies (EPCH, AIFPA, FHRAI, IFCA, ICF, NRAI, SIB, PHA, IPCA, SIHRA, FIFI, HOTREMAI, ARCHII, HPMF, PPFI, HI AIM and PIP2020) along with support from Ministry of MSME and NSIC, IHE 19 will continue to make hassle-free exhibition experience a reality. Dedicated brand building activities, extensive national & international media coverage, and the world-class infrastructure at India Expo Centre & Mart will act as the stage for this grand show. Armed with a vast array of exhibition categories, specifically curated conferences, select evenings and experiences, IHE 19 will make the impossible possible and give you the most coveted hospitality show that India has ever had. © 2019 India Exposition Mart Ltd. All Rights Reserved.